Join us for our next informative CPR/AED and First Aid course and learn the basic skills you need to help save a life! Each course is now broken up into two (2) half-day sessions – one session for CPR/AED training and one session for First Aid training. Participants can choose to sign up for one or both sessions, depending on their needs. The entire course is taught by certified firefighter/EMT instructors. The curriculum we provide is the same curriculum made standard by the American Heart Association (AHA) and taught by the AHA and American Red Cross. 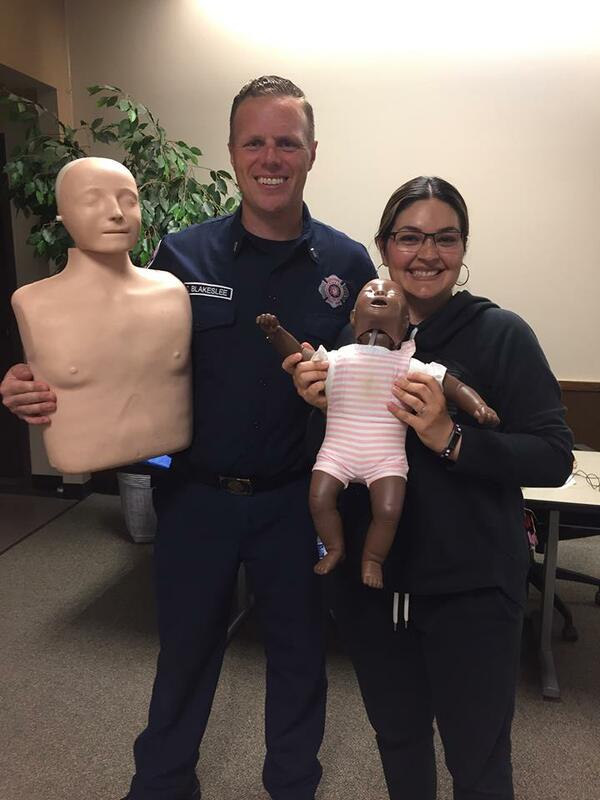 CPR / AED Curriculum: Our CPR / AED session is designed to provide the fundamental skills and confidence needed to perform CPR on an adult, child, or infant. Participants learn how to recognize and alleviate airway obstructions, properly use an AED (automatic external defibrillator), and the signs, symptoms, and corrective action for a stroke or heart attack. Successful completion will result in a completion card. This card satisfies WISHA and OSHA requirements for CPR. First Aid Curriculum: Our First Aid session provides the fundamental skills necessary to recognize and treat medical emergencies. Participants learn scene safety, the signs and symptoms of diabetes, stroke, and seizures, and how to best treat these emergencies. Participants also learn how to control bleeding, treat for shock and burns, and manage head and spine injuries. Successful completion will result in a completion card. This card satisfies WISHA and OSHA requirements for First Aid. Our course includes certified completion cards for participants who successfully complete each session. These cards verify that the user has met the performance standards of nationally recognized institutions. The regional fire department branded card(s) is also recognized by WISHA and OSHA – meeting these important safety requirements. Please note: the card you receive from taking either session within our course is not an “AHA Heartsaver” branded card. 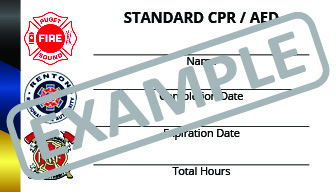 If you are taking CPR and/or First Aid to satisfy an employer requirement, please check with them to make sure they accept certified training from the fire department. Cancelation Policy: please note that all sessions require a minimum of 10 registered participants in order to be held. Any session that does not have 10 registered participants within 1-week of the event date will be canceled. In the event of a cancellation, you will be notified and a given a full refund. If for any reason you need to cancel, please do so within 72 hours of the event, if possible. You will receive a full refund.